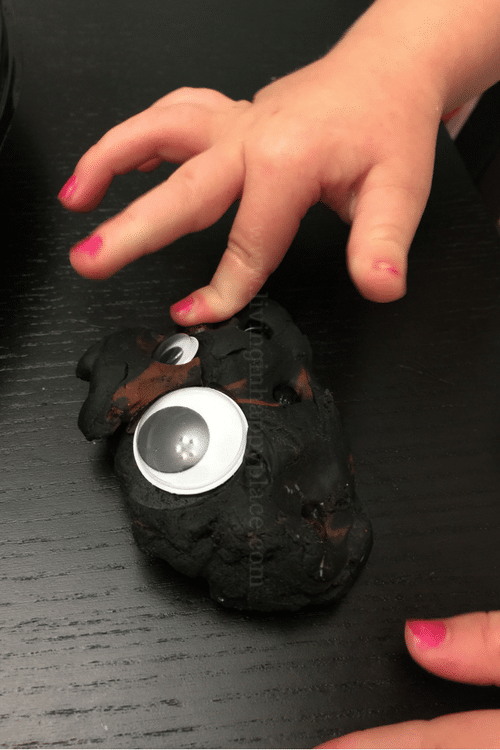 Preview: Halloween play dough tray for sensory play and fun! I have developed a love of Halloween inspired solely by the excitement of my children. I am both surprised and inspired how they embrace this holiday every year (really, all year). They LOVE dressing up in every. single. costume. They ask to go to Mickey’s Halloween Party, talk about rick-or-treating, and plan their costumes all year. 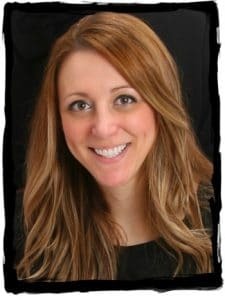 I never really liked Halloween but now I love to plan fun crafts, snacks, and activities to immerse them in the holiday! 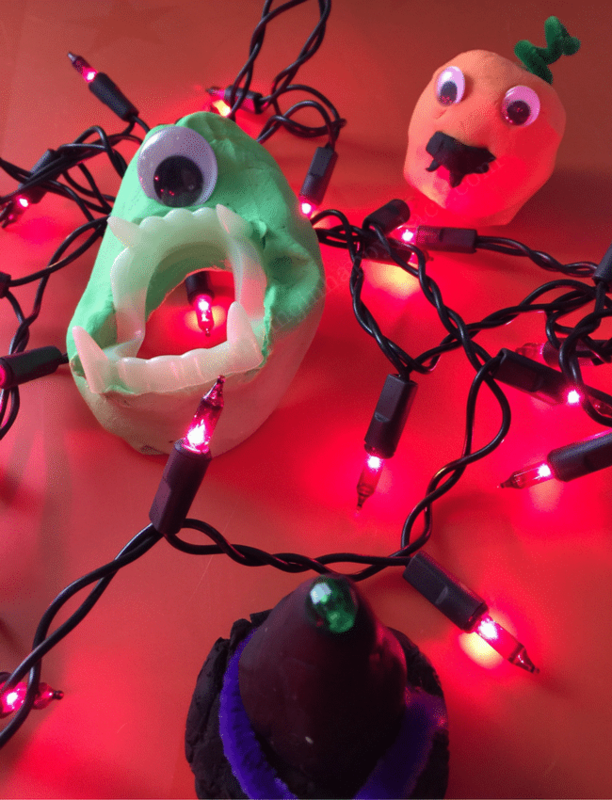 This is a fun and easy Halloween play dough tray activity that is also a great sensory activity! Now let their imaginations go! We made witch hats, cats, monsters, and little pumpkins. They even tried to copy the Happy Spider we make every year. Don’t you just love seeing what their imaginations and cute little hands can make? I love all of the ideas they come up with! Many of their creations looked way better than mine.. Remember to Pin this idea to add to your Halloween activities or school party! 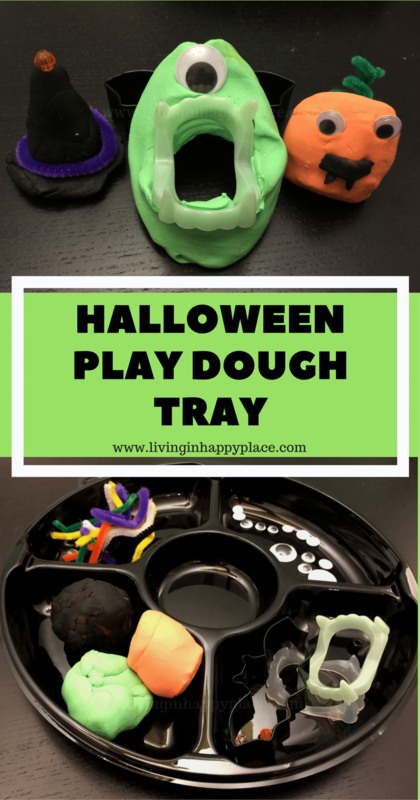 What will your kids make with this Halloween play dough tray?